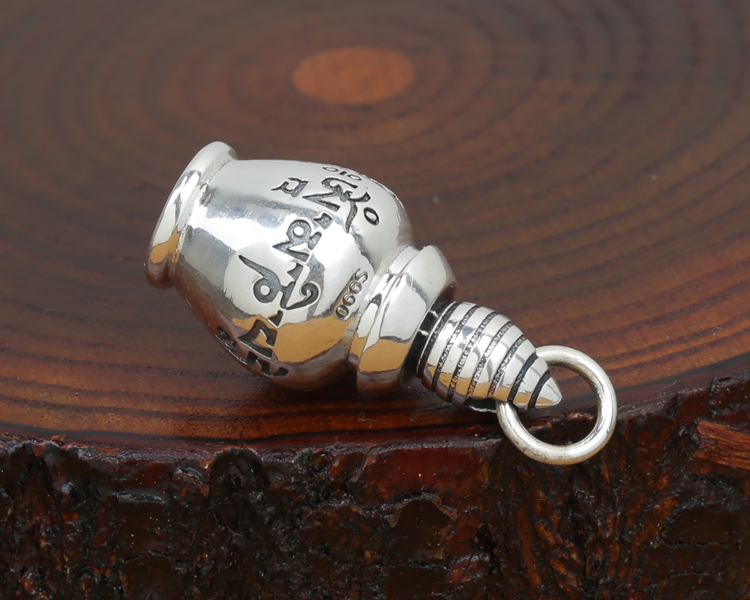 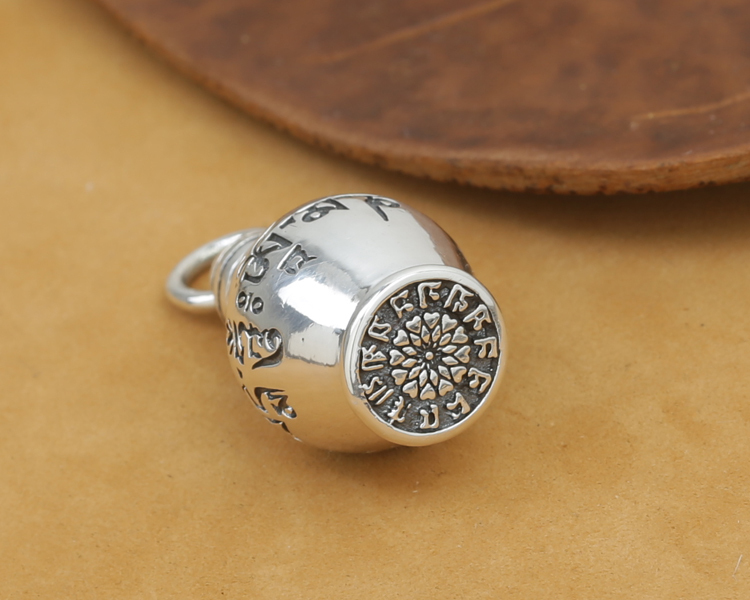 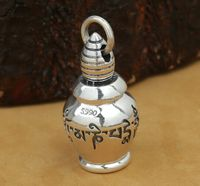 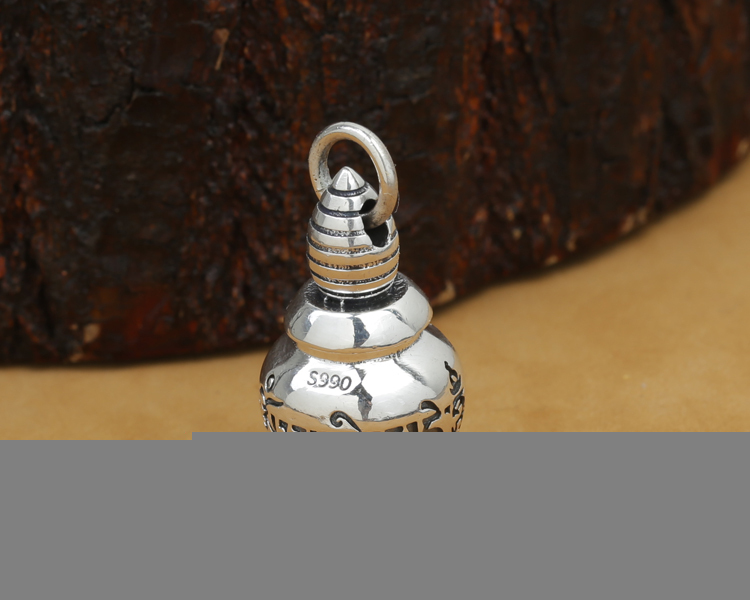 Tibetan OM Mantra Pendant 990 Silver OM Bottle Pendant. 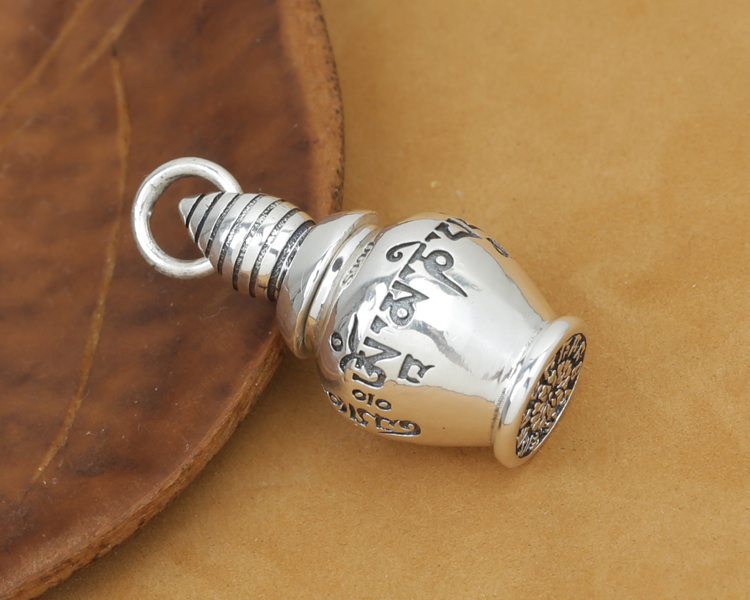 This pendant was handmade in Tibet from 990 silver. 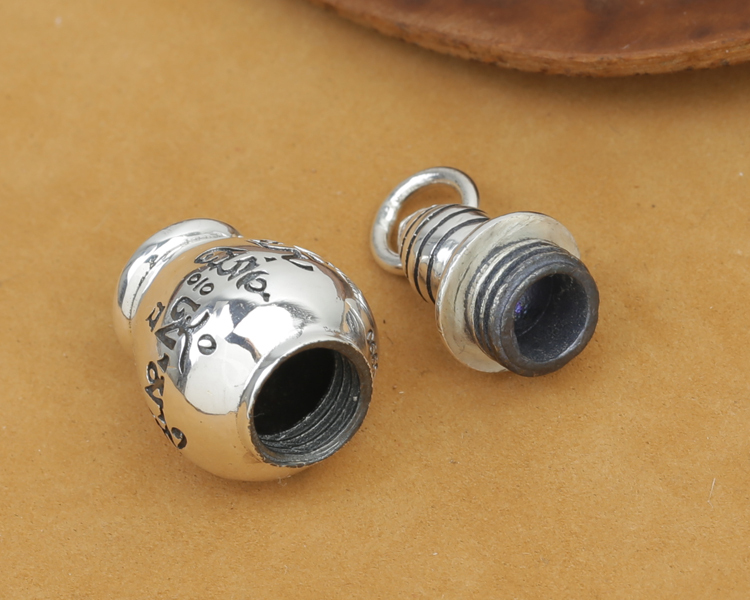 Size: 33mm*18mm. 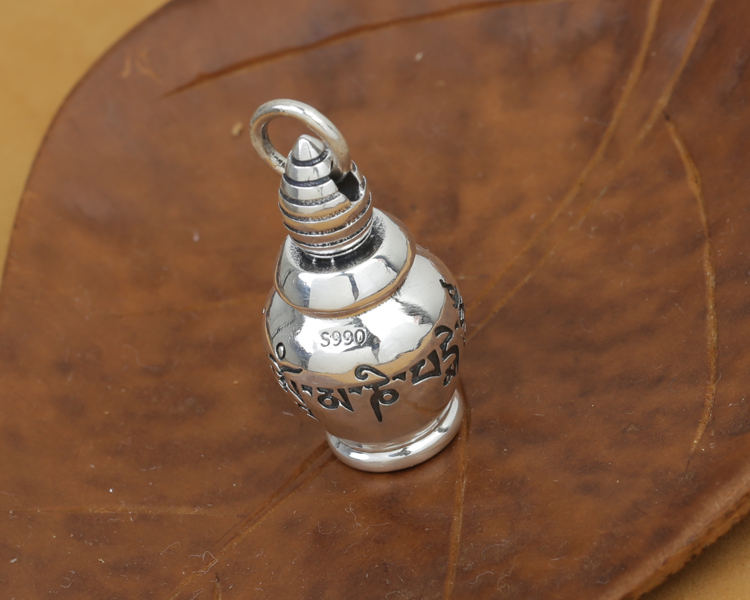 Weight: about 19g.